Prices vary on distance, times, items required, date, to give you a quote we will need to email first, with full event details, date, start time, finish time, age range, what time the customer will arrive, where the equipment will be set-up/used, indoor or outdoor use, surface area, floor space, height clearance, access in to the venue, parking facilities at the venue, any parking restrictions, any barriers, any steps etc. We have a 24/7 online booking system www.firstclassleisure.co.uk or www.fcleventhire.co.uk giving your details and the delivery address and we can set-up a commission charge to come off the order when you book. 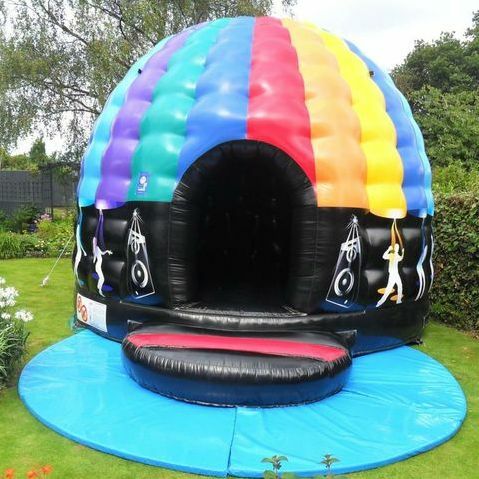 Our sales website is www.midlandleisuresales.co.uk - we can offer commission on sales too. FCL Event Hire offer a 100% reliable service since 1999, providing all year round equipment hire to fetes, fun days, schools, birthdays, children’s parties, weddings, christenings, promotions, proms, anniversaries, corporate events, reward days and all other special occasions.... Our awesome range of equipment is suitable for all types of Indoor and outdoor events, all year round. We have PL insurance. Extra day/event cover policies are available from our Insurance company but you would need to take the policy direct with them. Generatos can be provided at extra charge, electric power cables, fans are supplied in the quote.